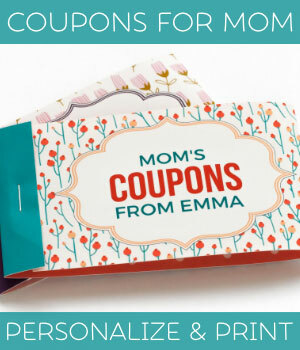 25 of the best Mothers Day gift ideas to help you find the perfect gift for your mom. From fun and unique fashion accessories, to pampering bath and body gifts, from sentimental to humorous to practical, we've collated a bunch of super gift ideas that any mom would love to receive. 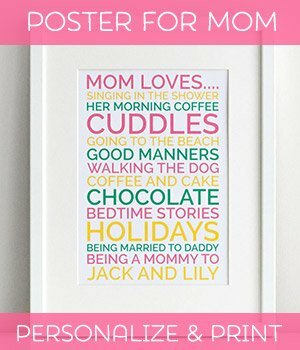 On this page you'll find a range of gift ideas for Mother day collated from Amazon that you can order for your Mom for Mother's day. 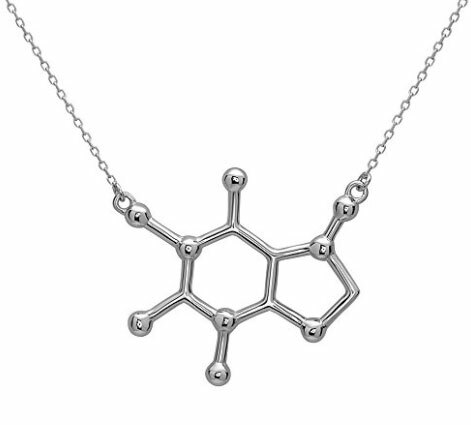 This unique caffeine molecule necklace is such a fun Mother's Day gift idea for coffee-lover moms. I mean, how else do we get through the day and stay sane? It's a great conversation-starter piece, and such a great gift for science-loving moms, or for those who appreciate unusual gifts. 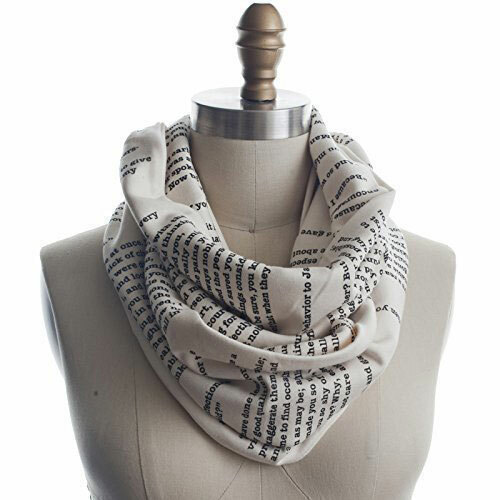 This beautifully made Pride and Prejudice Infinity Scarf is a gorgeous Mothers Day gift idea for literary loving Moms! Screen-printed by hand onto 100% cotton jersey knit, it's a high quality American-made gift that goes with practically every outfit. The ultimate cocktail book for literature-loving moms, Tequila Mockingbird: Cocktails with a Literary Twist by Tim Federle is such a great Mothers Day gift idea. Featuring 65 delicious drink recipes paired with wry commentary on history's most beloved novels, it includes bar bites, drinking games, and whimsical illustrations throughout. 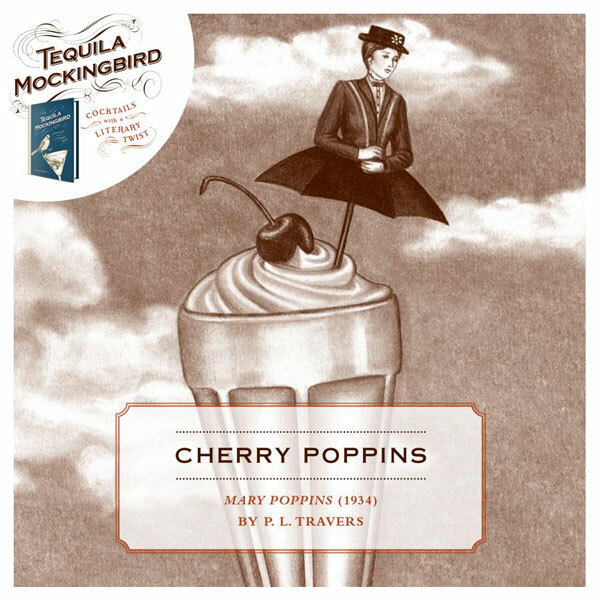 Because who doesn't need a Cherry Poppins pick-me-up once the kids are in bed? 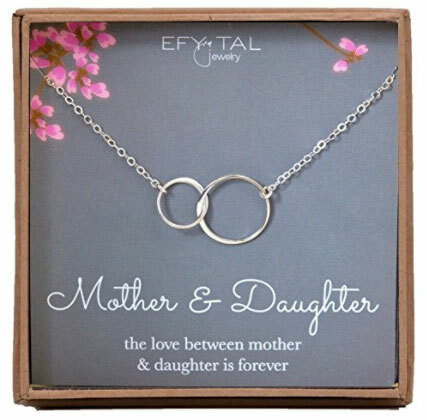 This absolutely gorgeous interlocking mother-daughter necklace is crafted out of 925 Sterling Silver to last a lifetime. With such a beautiful sentiment capturing the infinite bond between a mother and her child, it's a Mother's Day gift your mom is sure to treasure. 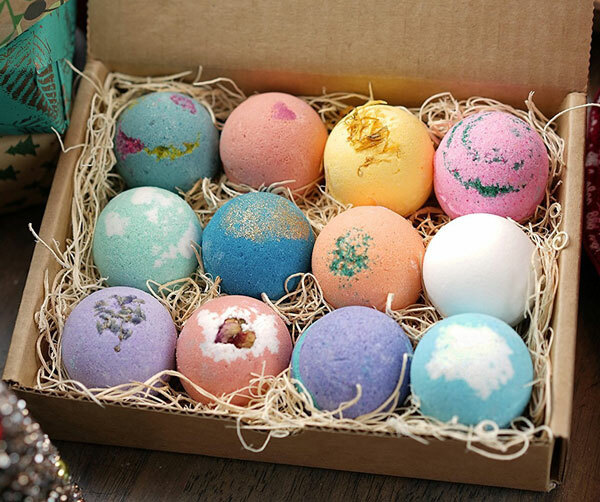 Handcrafted in the USA from vegan, organic ingredients, these moisturising and gorgeously scented bath bombs are divine! A lovely Mothers Day gift idea for busy moms, it will encourage them to take some well-earned time out for themselves! A super practical Mothers Day gift idea for new moms, this designer BEBE by Me teething necklace is the latest in stylish and practical Mommy accessories! 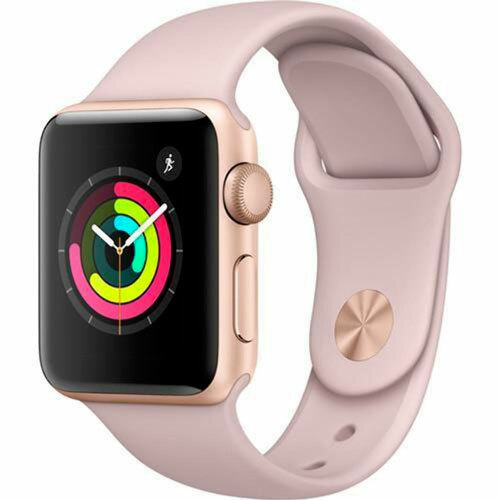 An Apple Watch Series 3 with rose gold aluminum and pink sport band is the latest must-have gadget for moms on the go. Use it for messages, calendar, timer, alarms, weather, heart rate, and generally keeping track of your busy life! 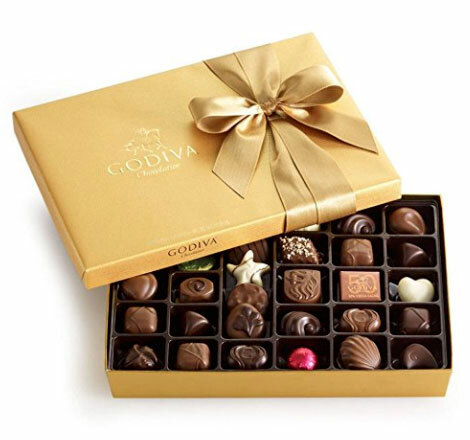 Surprise your mom with a beautifully packaged Godiva Gourmet Chocolate Box containing a delicious assortment of 36 rich and velvety milk, dark, and white Belgian chocolates. It's a traditional Mothers Day gift idea that any chocolate-loving mom is going to enjoy! Not going to see your Mom over Mother's Day? 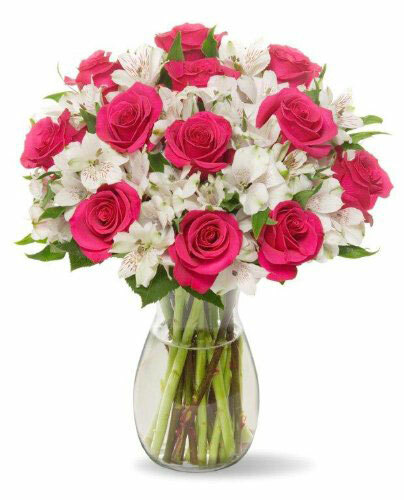 Let her know you're thinking of her with a beautiful fresh bouquet of Signature Roses and Alstroemeria (with vase) shipped directly to her door. 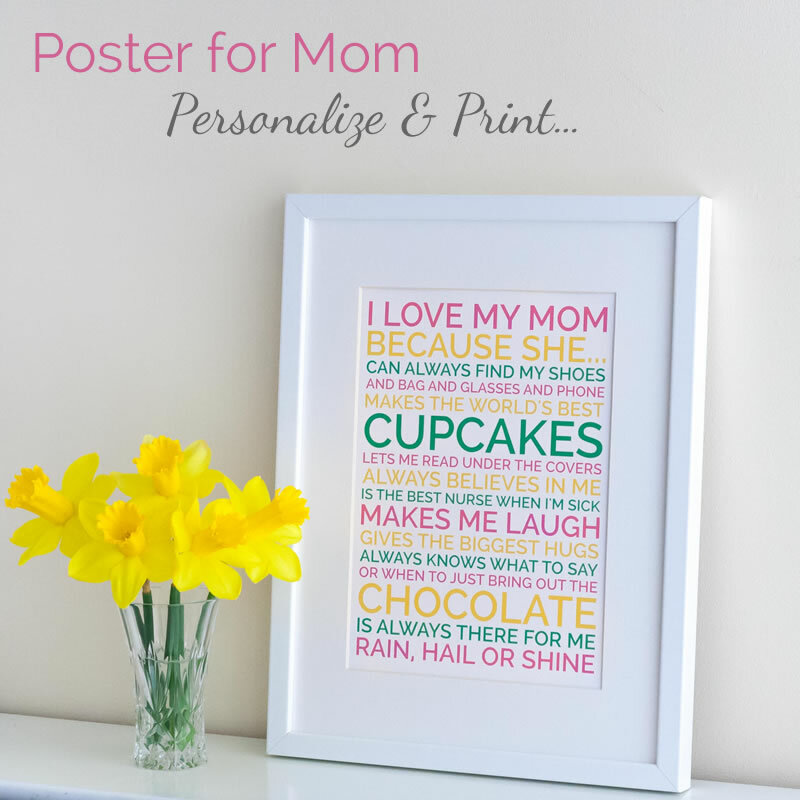 Make a gorgeous personalized poster for your Mom telling her how much you love her and appreciate her. Unique and special, just like her! With our online poster maker you can design, download, and print your poster from home. A great last minute Mothers Day gift idea! This beautiful "Angel Of Mine" Willow Tree Figurine comes with the enclosed sentiment "So loved, so very loved". It's a fitting tribute to motherhood and captures the close and precious relationship between a mother and her child. 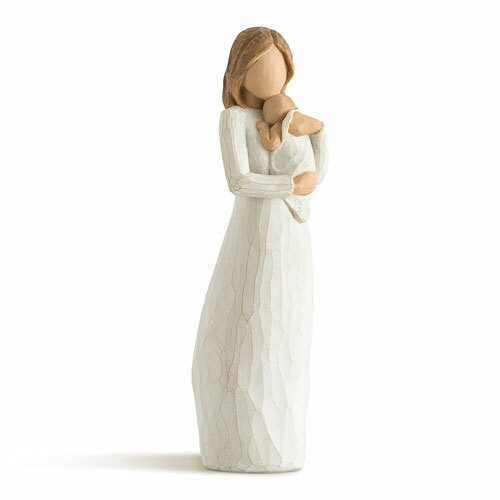 There are so many other beautiful Willow Tree Mother Figurines on Amazon, capturing the closeness between mother and daughter, mother and son, with toddlers, and with older children. They are gorgeous gifts to treasure different stages of motherhood, and a lovely sentimental Mothers Day gift idea for any mom. 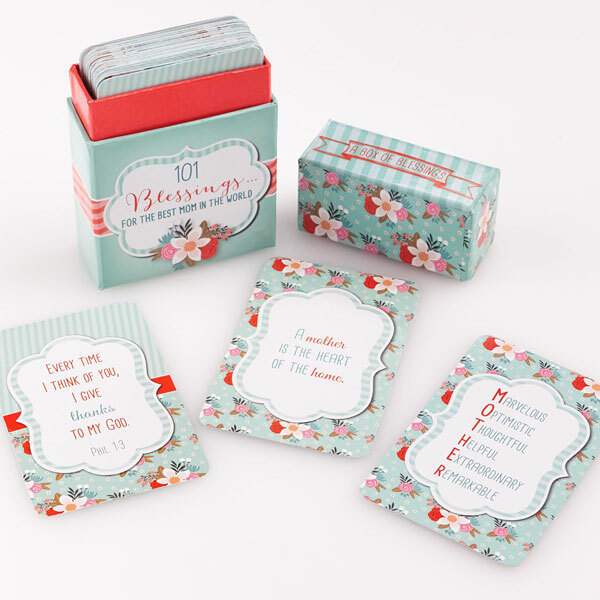 This box of Blessings for Mom will encourage and inspire her throughout the day, and let her know that she is loved and appreciated. A very sweet gift for Christian moms. 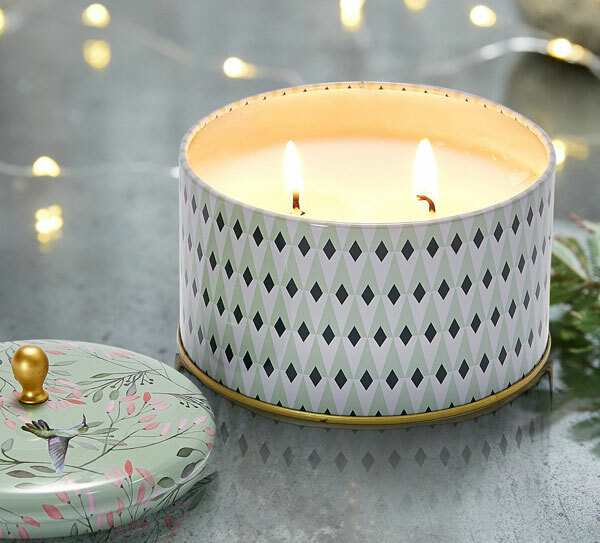 The divine La Jolie Muse White Tea Aromatherapy Candle burns with a gorgeous scent and comes in a beautifully patterned tin. The sweet white tea mingles with essences of grapefruit, peach, pineapple and jasmine to create a beautifully blended scent that isn't overpowering. Perfect for soothing any mom's spirits after a long day of mom duties. 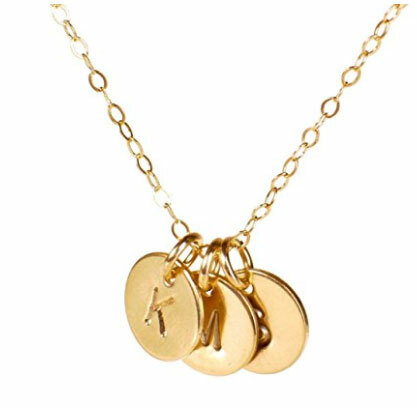 Mom can keep her children close to her heart with this beautiful 14 ct gold personalized initials necklace. A gorgeous and sentimental custom-made Mothers Day gift idea your mom will treasure. 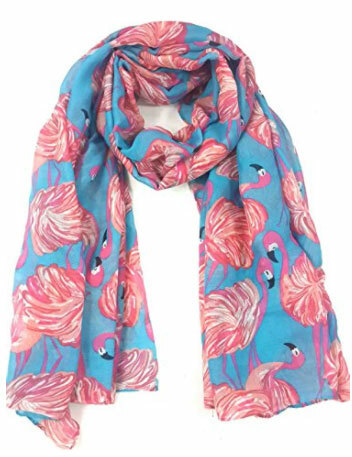 This playful Lina & Lily Flamingo Print light-weight scarf is the perfect spring scarf for busy moms on the go who still like to feel fabulous. Super soft and lightweight, with a vintage-themed flamingo print, it adds color and style to any outfit. Let's be honest, Motherhood is *hard*. Sometimes you've got to laugh at the situations you find yourself in, otherwise you'd just end up in floods of tears every day. 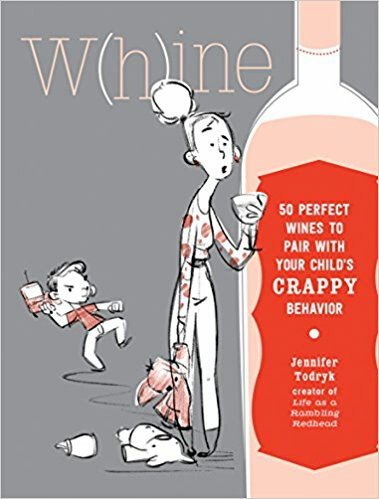 Bring some humor into a new mom's day with this fabulously funny book "Whine: 50 Perfect Wines to Pair with Your Child's Rotten Behavior". It's such a fun Mothers Day gift idea, especially when paired with a bottle of wine! There is nothing more delightful than having a nice warm blanket covering you while reading! Your mom will love this high quality, warm, soft-textured 100% pure new wool throw blanket to keep her cosy when there is a chill in the air. 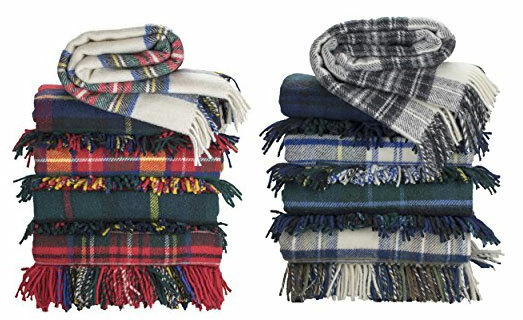 Imported from the British Isles, it's the perfect blanket for the home, beach, or picnics. Choose from an extensive range of colors to find the perfect one for your Mom. 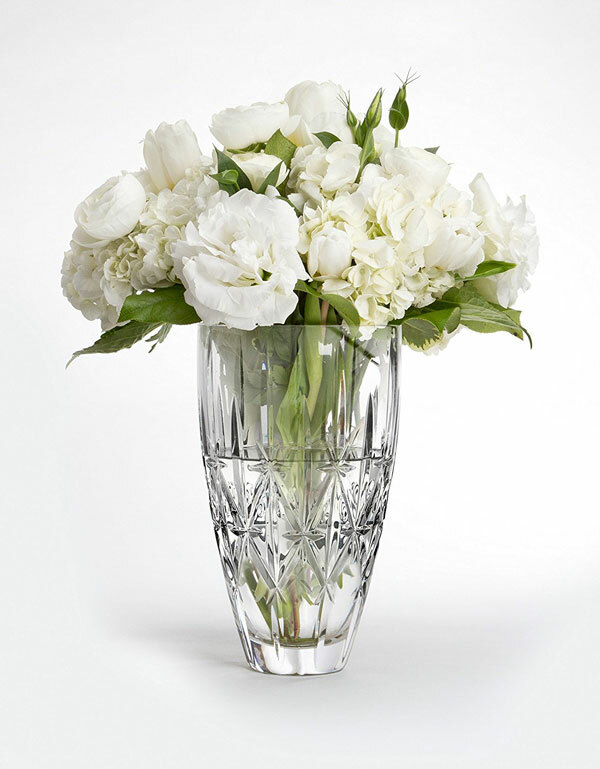 This 9 inch radiant Waterford Marquis vase will sparkle beautifully for your Mom and is perfect for displaying fresh cut or dried flowers. Crafted from high quality glass that is flame-polished and dishwasher safe, it retains a similar weight and clarity of traditional leaded crystal without the increased price tag! Such a beautiful Mothers Day gift idea that she can keep on display year after year. Pamper your Mom with this beautifully packaged luxurious English Rose Spa Gift Basket. Perfect to revive and rejuvenate her spirits this Mother's Day. 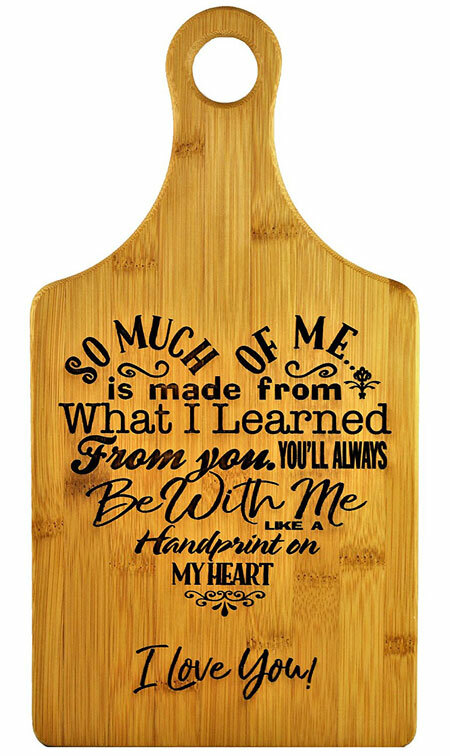 A fabulous Mothers Day gift idea for Moms who love to cook, this high quality bamboo chopping board is engraved with a beautiful sentiment to make your mom feel loved and treasured every time she sees it. Whether she wants to hang it up on display, or use it as a chopping board, it is sure to brighten her day. Does your wife or mom complain of sore feet after a busy day of running around after the children? Offer her some welcome relief with a Belmint Shiatsu Foot Massager with switchable heat function. The deep-kneading therapeutic massage is designed to encourage blood flow and relieve tension and sore muscles, and will make her feet feel amazing! You'll definitely win some extra brownie points with this Mothers Day gift idea. For environmentally-conscious moms, these sleek, durable, stainless steel MIRA water bottles are made to last! 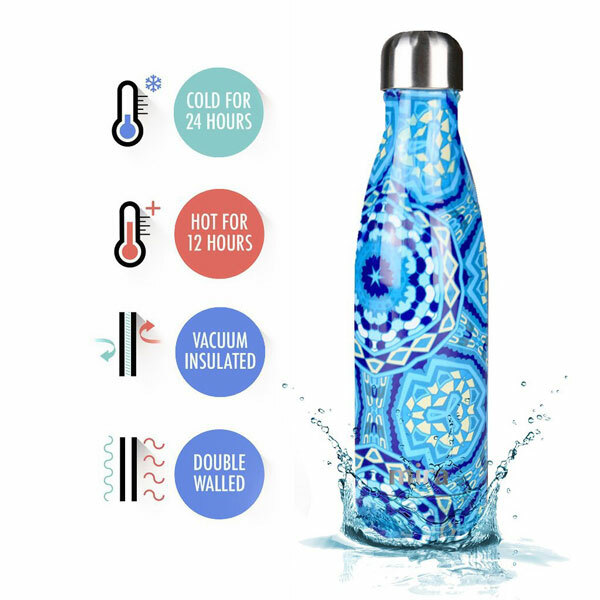 Vacuum insulated to keep drinks cold or hot, and decorated in beautiful designs to suit any mom's style, they make a versatile Mother's Day gift for any mom. 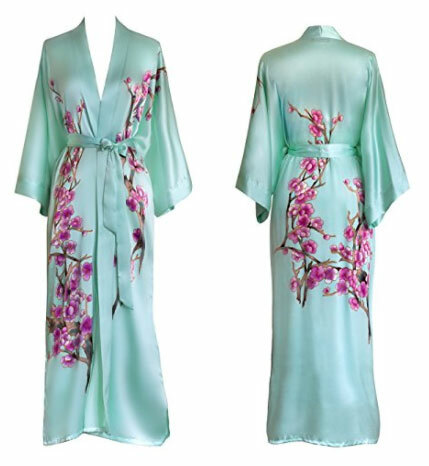 This beautiful Old Shanghai silk kimono robe is hand-painted with gorgeous blossoms on both front and back. It feels light and luxurious, and comes in a range of beautiful colors. A wonderful way to to pamper your Mom and make her feel like a queen. 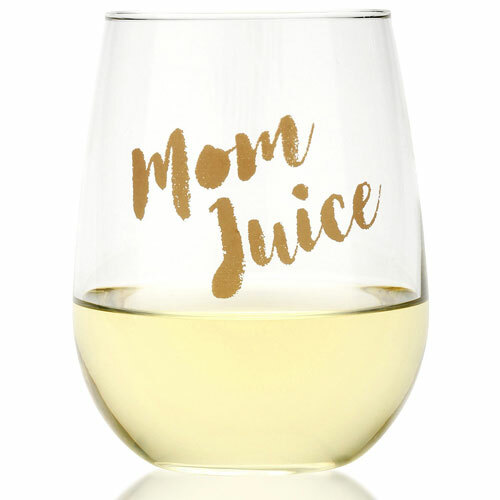 This funny wine glass is a Mothers Day gift idea all wine-loving moms will love to receive, because some days even mom could use some "juice". It's a particularly great gift for a new mom, or mom of toddlers, and even better if you present it with a bottle of wine too! Sometimes it's best to just go all out and tell mom you love her in a really visible way, with a gift she'll see every day and make her smile. 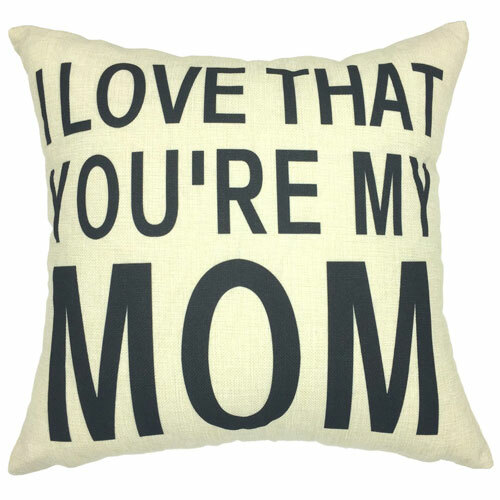 A beautifully designed mom cushion for her favorite chair or reading nook is just the thing! Want to wish your Mom a brilliant Mother's Day and thank her for all she does for you? Take a look at our extensive collection of happy Mother's Day quotes, messages, and poems for inspiration! We hope you've found our collection of Mother's Day gift ideas helpful and inspiring, and that you've found the perfect gift for your mom!